There is something thoroughly satisfying about easy to grow vegetables. 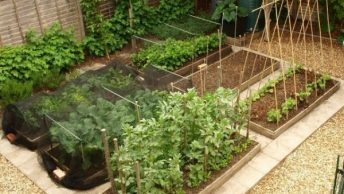 For most people growing a vegetable garden may seem like a daunting task. 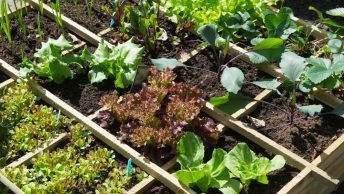 We have assembled a list of fool proof vegetable garden plants that are easy to grow for beginners and do not require much time or effort. If you really want your vegetables to thrive then apply Jobes Organic Fertilizer at the start of the season. This will give your plants all the nutrients they need to grow and you’ll harvest more nutritious crops for your family. One of the most basic, quickest and easy to grow vegetable plants to grow are salad greens. Believe it or not, with little care they are ready to use in about 3 to 4 weeks! I personally love the crunchy crisp texture of a freshly plucked lettuce leaf. It doesn’t require a lot of space and can even grow well in partially shady area. Dig over 10 inches of soil and prepare it with good compost, simply broadcast seeds over the soil, water in and you are good to go. You will see little sprouts of lettuce in about 10 days. Start plucking leaves when your plant is 3 to 4 inches tall. The best way to harvest is to pluck outer leaves and let the inner heart of the plant to keep growing. This way you’ll be able to harvest leaves over several months instead of just harvesting the lettuce heads once. I strongly recommend getting this Lettuce Lovers Collection which has best lettuce varieties to grow for backyard gardeners. Check it out! One of the only things I hate about growing backyard lettuce is when sand gets into the leaves. The best way to clean your lettuce and avoid eating dirt in your salad is to use a lettuce spinner like this one. Radishes add a zing and flavor to your salads and they are very easy to grow! The plant grows spicy bulbs in less than a month during the cool months of autumn and spring. 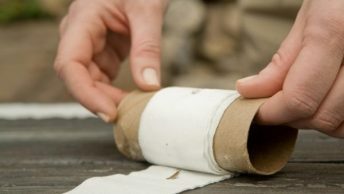 All you need is to prepare a soil bed or a container that is six inches deep, sow the seeds and water them every few days so the soil doesn’t dry out. Plant seeds at least an inch apart. This easy to grow vegetable is great for partial shade as well, growing in the shade will also make the bulbs less pungent. 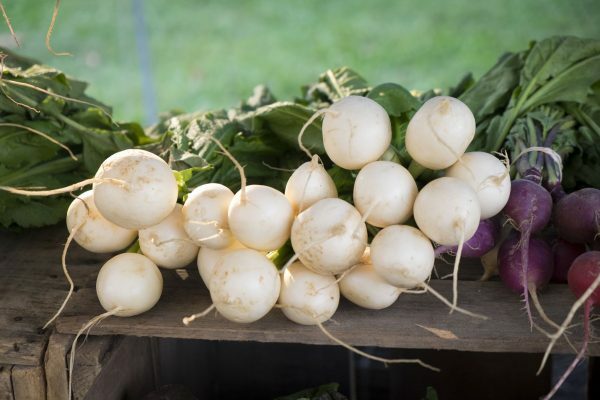 If all goes well, your radishes will be ready to eat in just 20 days. My favorite variety to grow is this Watermelon Radish which has a fantastic pink flesh and white skin. Container gardens and cucumbers are a match made in heaven. When you grow cucumber vines in pots, it becomes easier to train the vines and ensure they get enough water. Providing even moisture is the key to bitter-free cucumbers. If you live in an area where rain is scarce, be sure to supply 1 inch of water to your cucumber plant every week. 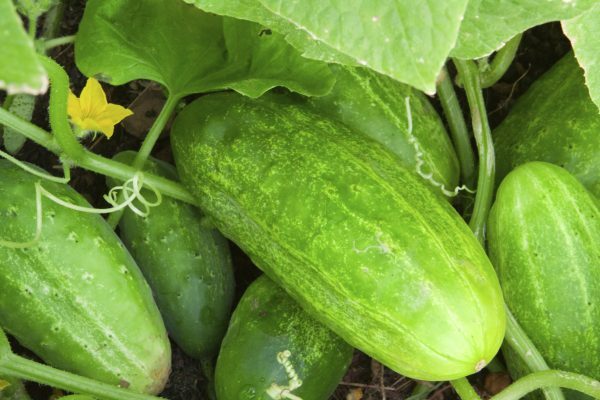 Warm soil temperatures are ideal for cukes and will promote rampant growth and fruiting. Since sunlight is essential for this easy to grow crop, move your containers into sunny positions or plant in a full sun location. Given plenty of sunshine and water your cukes will thrive and you will probably have fresh cucumbers for your table all season long! If you’re short on space try growing this Spacemaster variety which produces heavily in a small area. Bush beans are one of those vegetable garden plants that grow in the blink of an eye. 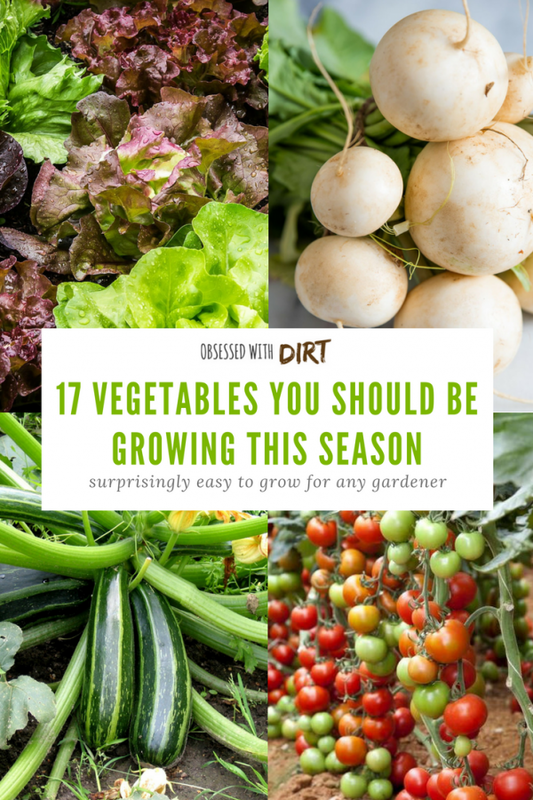 Making them ideal for places that have relatively short growing seasons or when you need to fill a gap in your vegetable garden before the next crop rotation. Green beans love being grown in warm soil which is why they thrive so well in containers. 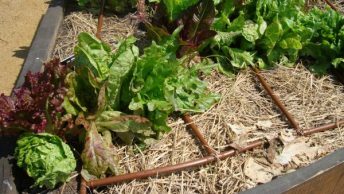 If you are planning to sow them in your garden beds then look for a position that gets plenty of sun and avoid mulching around the plants (mulch cools the soil). So sow your easy to grow bush beans press the seeds about an inch into the soil and space about 6 inches apart. 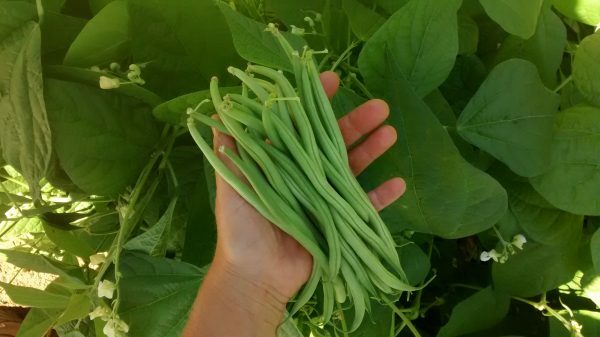 The best thing about bush beans is that they rarely need any additional fertilizer as they fix nitrogen from the atmosphere and have deep roots that mine the soil for minerals. For an extended harvest of bush beans sow your beans successively, about 1 sowing every 2 weeks over the whole season. If you have lots of birds in your garden then make sure you protect young seedlings when the plants are tender (and a tasty treat for birds). Bush beans are ready in about 50 days after sowing seeds. For a rainbow of colors, sow in yellow and purple varieties along with the green pods! Deep, well drained soil and a raised bed are a perfect way of growing juicy orange carrots. Although carrots love full sun they can also grow well in partial shade. 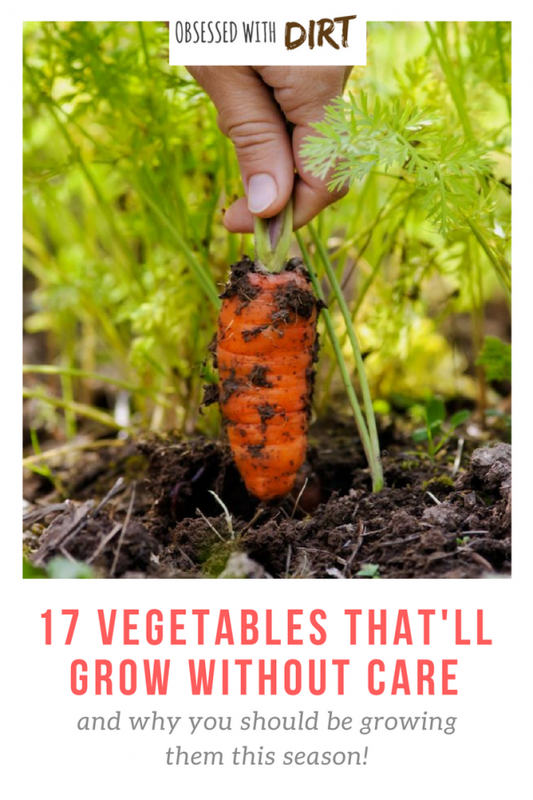 These easy to grow vegetables enjoy a cool soil (which helps reduce forking of roots) so keep a generous layer of mulch around your plants and water regularly, preferrably in the late afternoon. 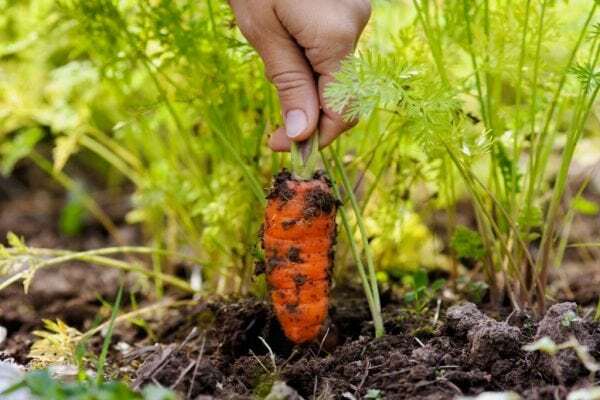 To grow the best carrots you will need to sow them directly into your garden beds. Have a little patience though as the seeds can take several weeks to germinate. Plant seeds in ½ inch deep drill (compressed line in your soil made by pressing a rake handle into the soil). Thin the carrots out to about 1 seedling per inch. My favorite variety to grow is the rainbow carrots which come in a whole range of bright and fun colors. Zucchini, which is also a type of summer squash, is a refreshing vegetable that is packed with vitamins and minerals. I love the fact that they grow well in containers and do not require much space. Prepare a pot with soil and compost, sow the seeds about 1 inch deep and you can grace your dinner table with fresh zucchini in a few weeks time. Rich soil is essential for the best production, so be sure to add a good amount of compost before planting. Just remember to harvest the plant regularly to make room for new growth as one plant can pump out dozens of tender fruits. If you leave the fruits on the plant for too long they will significantly reduce the growth of new fruits. Grow the butterstick variety as the golden fruits make it easy to find and harvest the fruits. 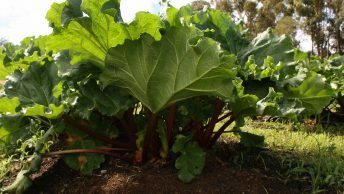 This vegetable garden plant is possibly the most popular crop among gardeners because it is easy to grow and produces big harvests. You can grow it in garden soil as well as containers and hanging baskets. All tomatoes need is a good amount of sunlight and decent support when the fruit begins to form. As a beginner, you may want to opt for bush varieties because they require less care. 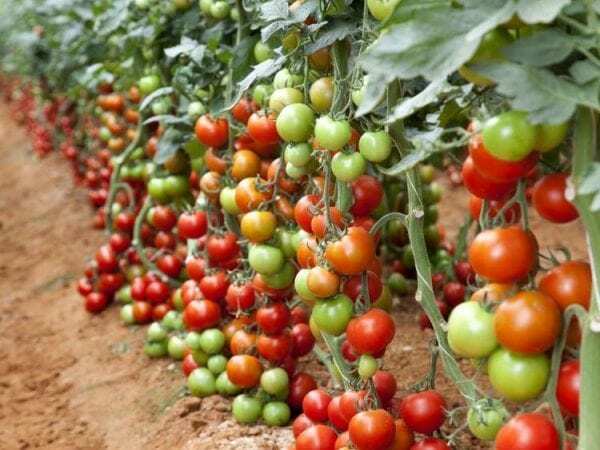 Tomatoes grow best directly from seeds but you can also buy a seedlings and even grafted varieties which have much higher production. Try this assortment of 8 heirloom tomatoes that are easy to grow, pest resistant and have so many unique flavors and colors! Basil is a perfect companion to tomatoes! Want to know why? The fragrance of basil leaves will naturally keep away pests from you tomato plants and even sweeten your tomatoes. Plus, tomato and basil are a great combo for spaghetti sauce! Basil is such a fragrant herb and gives a good flavor to soups, salads and just about any dish that it is added to. You can grow it in pots or directly into the soil easily. This is a versatile and easy to grow crop that only requires warm soil and occasional water to thrive. Basil needs a plenty of sunlight so even if you grow it indoors, remember to keep it near a window where it gets plenty of sun. 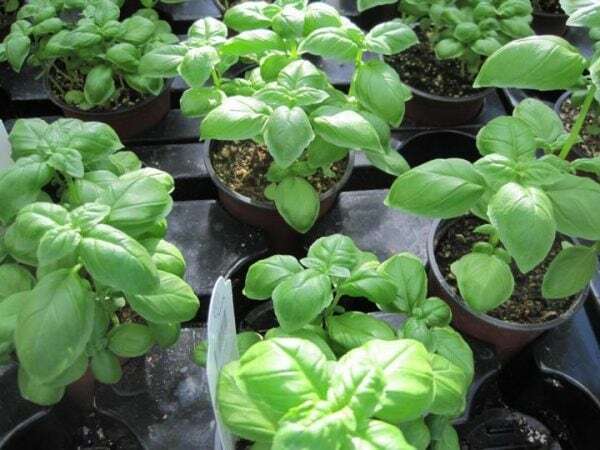 Don’t just grow the normal italian basil. There are dozens of fun varieties with unique flavor and colors, try this selection of the 8 best basil varieties. 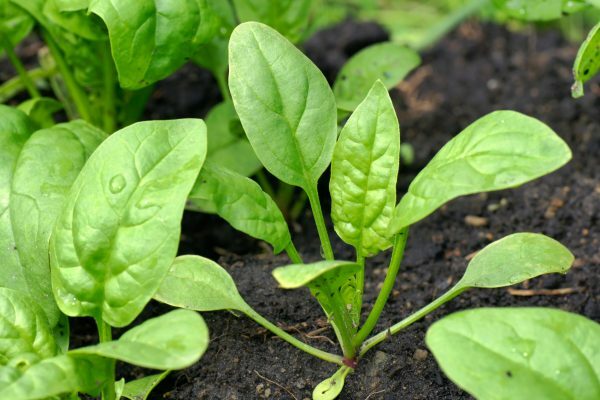 Spinach is also a quick and easy to grow crop. The leaves grow very quickly in cool weather and adds color and flavor to salads and other recipes. Plus spinach is a powerhouse of nutrition and very high in minerals! It grows really well during winter season. Spinach is heat sensitive so choose a nice shady place for planting it. Water them well to avoid stressing the plant and bolting (when the plant goes to seed and the leaves become very bitter). If you want to plant spinach in a container, just remember that each plant will need about 8 inchs of growing space. I grow the butterflay variety every year and it never disappoints, try it this season. Did you know that the average American eats about 114 pounds of potatoes every year? 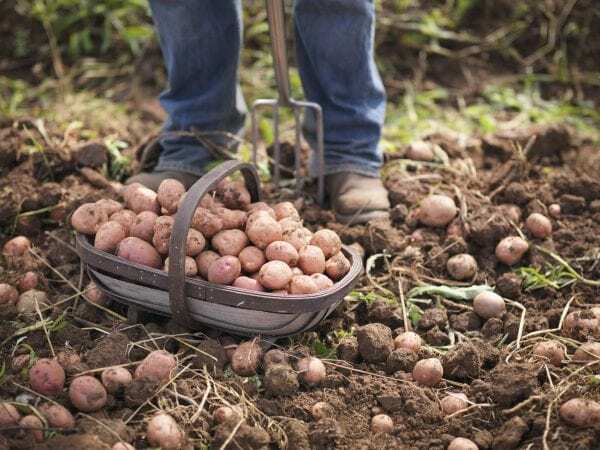 It is such fun crop to grow and with little effort you will have fresh potatoes from your own garden all year long! Potatoes are perfect for growing in containers and the containers make harvesting much easier! All you have to do is invert the pot and find the tubers. When growing in a container make sure that your pot is at least 2.5 gallons and the plant is not overwatered. Spud cultivation eliminates the need for seeds. All you need to do is leave a potato tuber in the sunlight until it turns green and starts to grow shoots. Then cut this potato into pieces, leaving at least one shoot on each piece. Store these segments indoors at room temperature for 48 to 72 hours. Then bury the wedges 2 to 4 inches beneath the surface. Give an inch of water every week and they will be ready to harvest by midsummer. For a unique flavor and more hardy varieties of potato, try growing this heirloom assortment of potatoes. You cannot go wrong with mint! It can easily grow in moist soil and does not require too much sunlight. Mint is prolific and is perfect for container gardens, which is also a great way to keep it from spreading everywhere! However, you may want a pot that is 30 cm deep and in diameter due to mint’s rigorous growth. Every 2-3 years you will need to remove 3/4 of the plant and roots from the pot and replace with compost or potting soil. You can harvest fresh mint after about 5 to 6 weeks of sowing. It adds flavor to teas, salads and other recipes. Farmers prefer pots for mint growth as it tends to spread pretty quickly in open garden spaces. If left unchecked, it can pretty quickly consume every inch of available real estate! 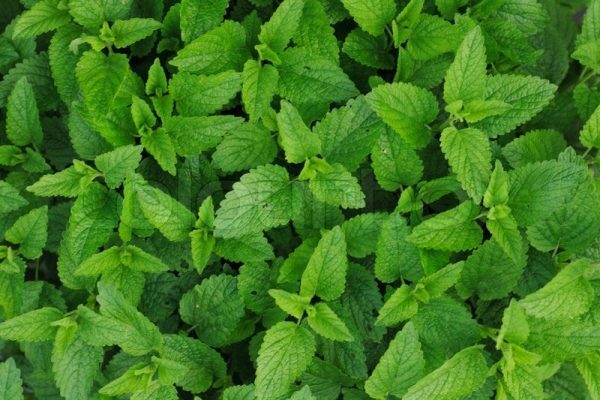 Mint is available in dozens of varieties like pineapple, spearmint, lemon mint and chocolate mint. Try this collection of the best tasting mint varieties. Most expert gardeners recommend growing oregano in containers to avoid extensive growth and to keep it under control. 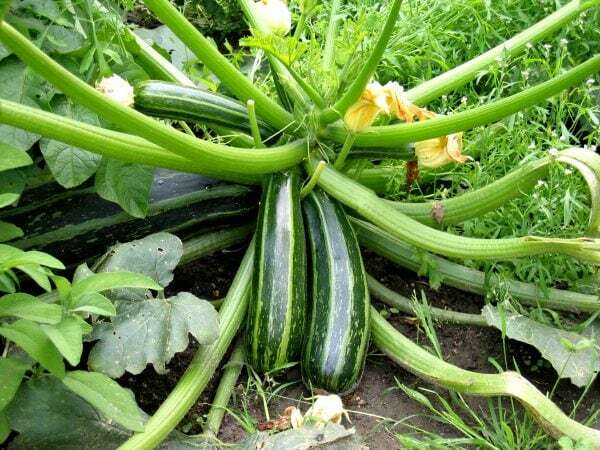 This vegetable garden plant is very easy to grow. All you need is a pot, a bit of potting soil and a position that gets a decent amount of sunlight. 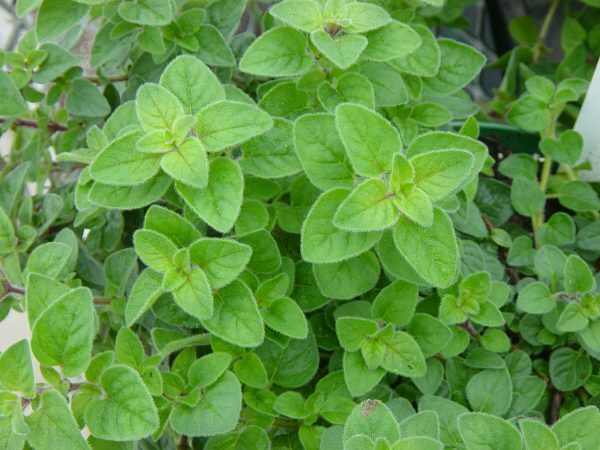 Oregano is a fool proof plant so even the beginner gardener will have no trouble growing it. It is a perennial but dislikes cold weather, so in winter you should bring it indoors or move it to a protected location where it can stay warm. Everybody loves the vibrant colors and flavor of peppers. They add a zest and vitality to the dullest of the dishes. You can grow them in open spaces as well as containers. To get different colored peppers such as green, yellow and orange all you need to do is let the fruits ripen for different periods. All fruits start off as green and ripe to either red, orange or yellow. 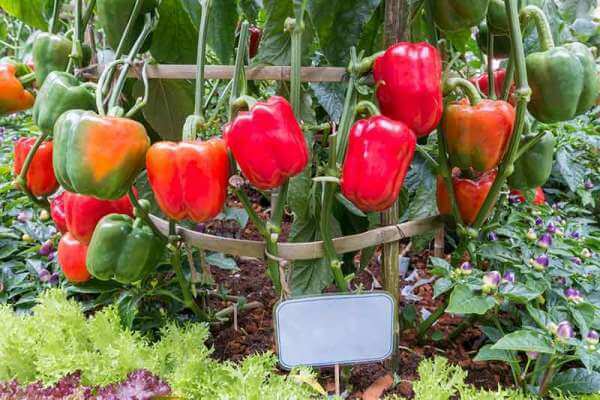 Grow your peppers using this rainbow bell pepper mix and open up a whole world of color. The purple varieties have the highest antioxidants, but my favorite is the orange for flavor. Garlic is such a simple vegetable to grow! It is basically one of those plant-it and forget-it vegetable garden plants. 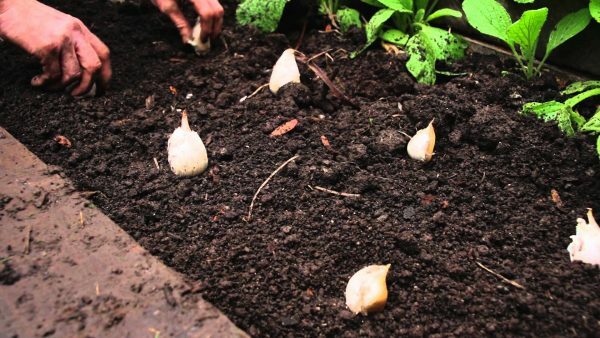 All you need to do is sow individual cloves of garlic in soil during spring or autumn and then harvest in exactly 6 months time. Make sure that the soil you’re growing in is well-drained as garlic hate wet roots. You can mulch your soil with straw after sowing the garlic cloves (don’t worry their strong stems will push through the straw). This will prevent weed growth and also retain moisture in the soil. That’s just it! When the foliage yellows and dies in late summer, simply pull up the cloves by the stems, shake off the dirt and hang to dry. Crisp roots and tasty greens give you a chance to harvest this vegetable twice during the growing season. 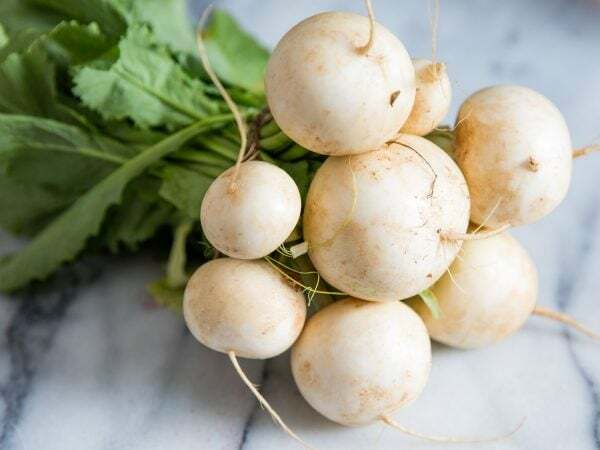 Japanese turnips are pretty quick to grow and are ready to pull just five weeks after seeding. 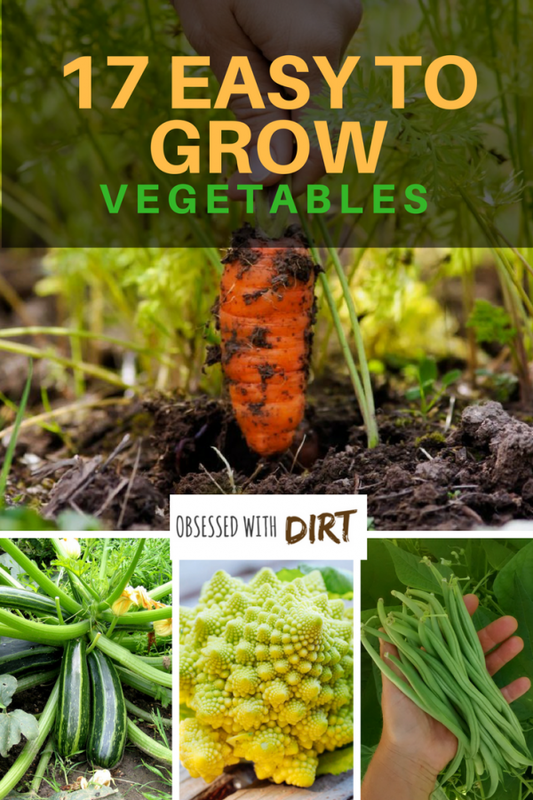 This easy to grow vegetable loves cool weather, so it is preferable that you sow it during mid-spring and again in late summer. 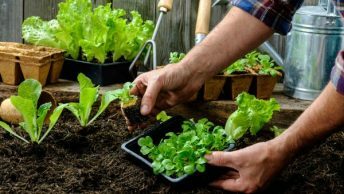 Direct seeding into garden beds is the best way to grow this crop as transplanting seedlings shocks the plant for several weeks and slows growth. I prefer to grow these purple top turnips because they have the best flavor and tend not to get too woody (tough). Home grown peas have so much flavor and are very tasty. There are three main types of peas: snap, shell and snow. 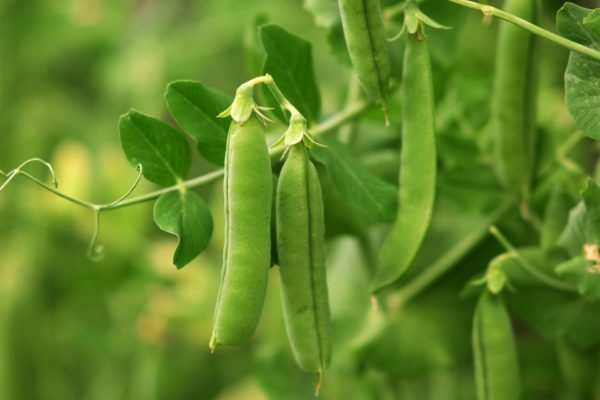 Depending on the variety that you select, a pea plant can grow as tall as 6 feet. Sow the seeds in early spring as this easy to grow crop prefers cool weather. While vining varieties require full support, bush varieties also appreciate some twigs or wires to ramble over. The best variety I’ve grown is Melting Mammoth Sugar Pea which has such a sweet flavor and big juicy peas. 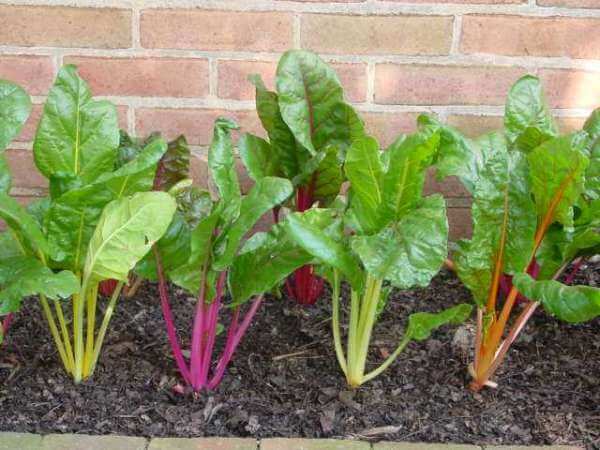 Swiss chard is ridiculously easy to grow and gives a beautiful touch of color to your vegetable garden due to its vibrant appearance. 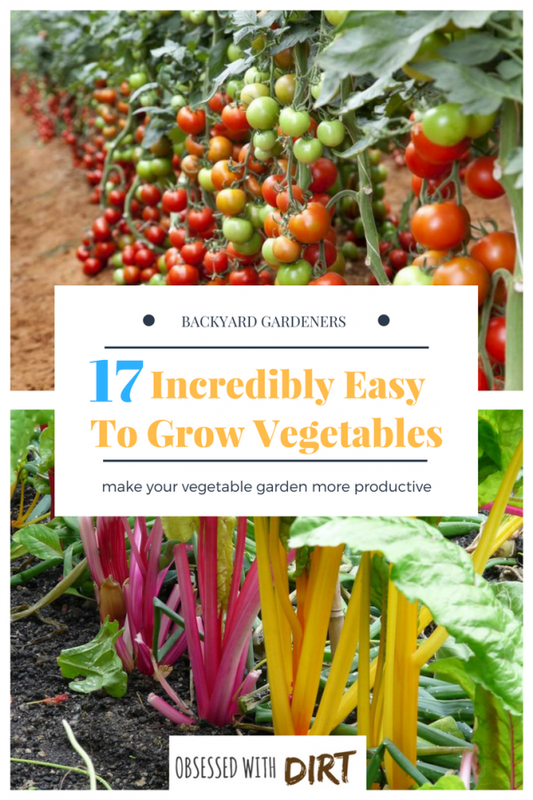 It is an extremely productive vegetable garden plant making it one of the best choices for beginner gardeners. For more productivity, stick to less showy, white-stemmed verities that mature quickly and produce a lot of leaves. 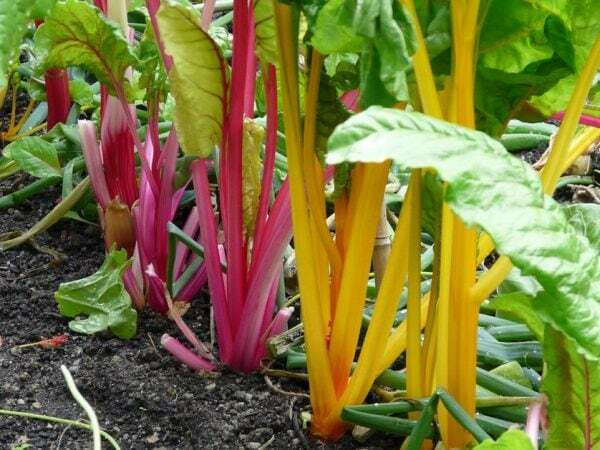 To give your vegetable garden some extra color, plant varieties with hot hues like Rainbow Chard. 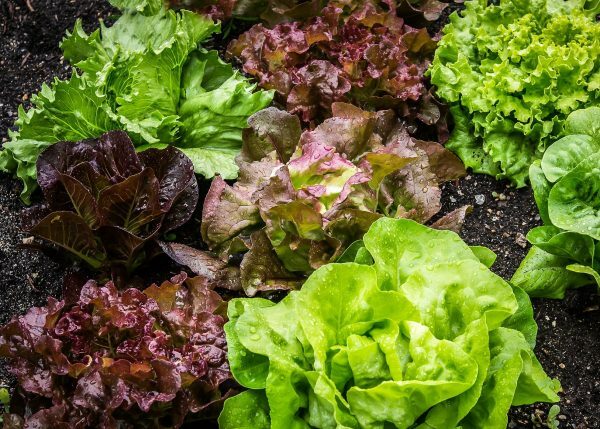 Although vegetable gardens are not a plant-it-and-forget-it project, these easy to grow crops will help reduce the workload and maximize yield from your efforts. Good planning will also help you determine how much time and space you can dedicate to your garden. As a beginner vegetable gardener, start small. For your first plot, choose a sunny area with good soil. If you are not comfortable with open plots, you can always grow any of these vegetables we’ve listed above in containers. Mitch Baylis is a backyard gardener. His passion for nutrient dense, sustainably grown food has taken him across the globe in search for the best vegetable gardens on earth. 21 Perennial Vegetables You Can Plant Once For Years Of Bounty!